DireLilith (8 months ago) Inappropriate? Fabulous bike! 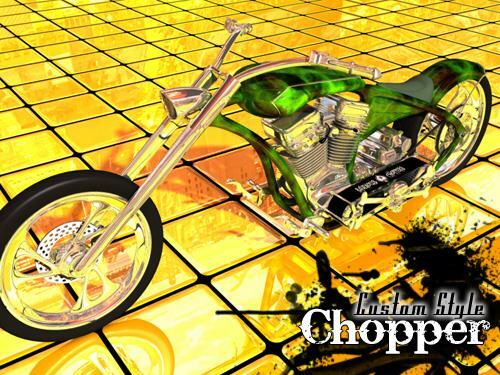 I've been looking for a realistic modern style chopper. Thank you for this! I work long hours with Poser and now tired. Meanwhile I bought the free version of DazStudio 4.5 and am really excited how well the program works. It is simple and gives good results. There is also free. I'll stick with DazStudio 4.5 and later versions. Your bike is really great by the way. Great work that you have done since. But others would take money. Thanks for the more …I work long hours with Poser and now tired. Meanwhile I bought the free version of DazStudio 4.5 and am really excited how well the program works. It is simple and gives good results. There is also free. I'll stick with DazStudio 4.5 and later versions. DarkCrystal (9 years ago) Inappropriate? Oh thank you!! This will be purrfect for a pic for hubby! And D|S ready?? Thank you soo much! How about making this for poser as well!!! Ravenous (11 years ago) Inappropriate? Sorry folks! I realized I forgot to add a folder to my package, those of you who already downloaded it probably had to import the .obj manually. Everything fixed now, keep on downloading!